At the NMRC Malaria Program, Dr. Martha Sedegah has responsibilities as Senior Scientist, Director of Clinical Immunology, and Director of Parasitology, heavily involved in the development of new approaches to the discovery and enhancement of gene-based vaccines for malaria. As Director of Clinical Immunology, she is responsible for directing all aspects of the clinical immunological assays involved in Malaria Clinical Trials conducted by their program as well as studies conducted jointly with their collaborators. As Director of Parasitology, Dr. Sedegah is responsible for directing all aspects of the parasitology program within the Malaria Program of NMRC, including establishment of the life cycle of murine and non-human-primate parasites. As Senior Scientist, she is conducting original research in the complex and rapidly evolving field of vaccinology. Within this area Dr. Sedegah has focused on determining the mechanisms of protective immunity against malaria through development of optimized administration of different vaccine platforms including plasmid DNA, viral vectors, and recombinant proteins. This includes developing and testing vaccine regimens that induce protective immunity and developing novel means for enhancing protective immunity induced by malaria DNA based vaccines. Based on findings made in their clinical trials that protection induced by a DNA/Ad boost regimen was superior to live vector alone in inducing protection, they later discovered that the protection was associated with predominant monofunctional CD8+ T cell IFN-γ effector memory responses that exceeded central memory responses, and were predominantly directed to single 9-mer epitopes within AMA1, later matched to HLA B*57 and A*03 restricted epitopes. Dr. Sedegah’s future interest is to seek and identify additional HLA-allele specific epitopes within malaria vaccine candidate antigens that are associated with protection in her future vaccine trials. The identified epitopes will form components of a future protective epitope-based malaria vaccine. 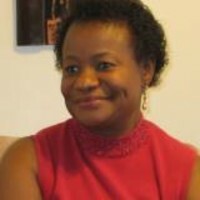 She has authored or co-authored over 143 articles and abstracts for professional journals.